Safety Mojo is a cloud-based EHS (environment, health and safety) management solution designed for businesses within industries including healthcare, construction, logistics, manufacturing and more. It empowers users to build forms, manage employees and generate analytics. With modules like an instant notification system, electronic collaboration, and employee management, the user can efficiently track, analyze, customize and improve workplace safety. With the employee management module, users can easily manage all of their employees from one central platform as it uploads employee information, allows management to track training, generates and stores built-in certificates, and gives management the opportunity to award employee badges. The user can upload a full list of employees and keep track of details such as their date of hire, employee number, assigned supervisor and more. Safety Mojo provides users with unique user permissions and ensures employees only see what is relevant to them. The five levels of user permissions allow managers to make sure that employees only see areas for which they have been assigned permission, whilst employers have a complete overview of the system. There are currently no reviews of Safety Mojo. Contact Safety Mojo for pricing information. • With reporting tools, all forms can be filtered for easy searching with the ability to export all form data. • Offers a real-time dashboard that provides users with a clear overview of goals, forms, and controls, as well as upcoming safety meetings. • The user can upload a complete list of employees and keep track of their information such as hiring date, supervisor, employee number, etc. • Provides the user with unique user permissions and ensures the employee only sees what is relevant to them. • Employees can confirm that they have been paid correctly, that they have not had an accident and are taking their breaks correctly, all with email notifications. Below are some frequently asked questions for Safety Mojo. Q. What type of pricing plans does Safety Mojo offer? Q. Who are the typical users of Safety Mojo? Q. What languages does Safety Mojo support? Q. Does Safety Mojo support mobile devices? Q. Does Safety Mojo offer an API? Yes, Safety Mojo has an API available for use. Q. 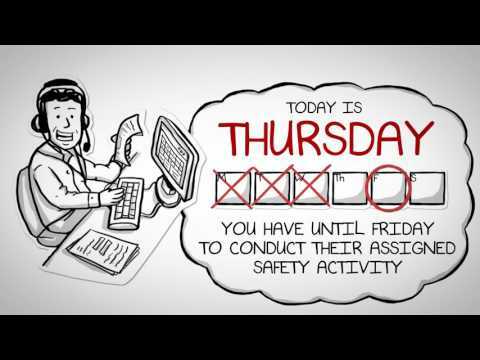 What other apps does Safety Mojo integrate with? Q. What level of support does Safety Mojo offer?